Every week there is a challenge posted to the RPG Reddit group. 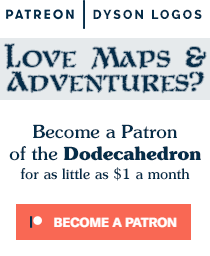 Each lasts for roughly a week and is judged by the rest of the /r/rpg membership through the built-in voting system. Last week’s challenge was “Unconventional Transportation”, and my entry (reposted here) won. Today it is common to see high ranking guild officials and minor nobles travelling the streets of Parrain (and occasionally in nearby cities and towns) in the empty stomach cavity of specially embalmed and animated ogres. Access to (or preferably ownership of) an ogre zombie cab is a sign of success and position within the city. There is even an industry centred around the purposeful “fattening up” of slave ogres to make for larger and more spacious cabs once they have been butchered. But how did such a bizarre form of transportation become so in vogue? Ages ago, the teamsters in the port city of Parrain used captive ogres to transport heavy cargo to and from the docks and warehouses as well as occasionally renting them out to caravans who had sufficient personnel to keep the ogres under control. But a dead ogre is a pretty big thing to bury, and they stink. Huervess, a local necromancer of moderate ability, started collecting the carcasses for the teamsters and worked on various methods of mummification that would reduce the stench of rotting ogre-bits, and then selling or renting them back to the teamsters. It was a particularly fat ogre that finally changed the status quo. The ogre was so large that Huervess completely gutted the creature before animating it, and created a large enough area (once some ribs were removed) that he could sit comfortably within the abdomen of the ogre. He then rode in this bizarre vehicle to collect and deliver ogres around town – and after seeing his “vehicle” successfully climb stairs and pick up and drop off some heavy loads, several members of the teamsters guild as well as some other guilds started asking about purchasing them for themselves. The use of slave ogres for the teamsters ended nearly thirty years ago when a group of ogre slaves embarked on a royal schooner and killed prince Durrek and his wife, but a small number of slave ogres are still raised (and fattened to excess with rich foods and drink) in a secure facility outside of the city limits which are then converted into “zombie cabs” and either sold to the elite of the city, or rented out through a small service company in town. Huervess can still be seen occasionally, travelling around in a massive construct made of several zombies somehow sewn together, but he is no longer involved on a direct level in the zombie cab industry. This week’s challenge is “Opposite Day“, why not join in and give it a shot? That is quite possibly one of the most creative Ideas I’ve read in a long time. I can picture those things walking through the streets with commoners struggling to keep out of the way of such “abominations”. Whispering to each other that “it’s just not right, that it’s not natural”. Of course then there is always the possibility that something goes horribly wrong, and the ogre zombie cabs get out of control and run amok. Inspiring stuff Dyson, Kudos to you.